Categories: Custom Hawaiian Gift Baskets, Graduation Leis, Hawaiian Leis and Corsages, Hawaiian Weddings, Men's Leis, Vine and Leaf Leis. 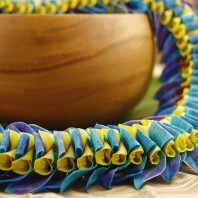 Kukui nut leis are an everlasting Hawaiian lei of whole, round kukui nuts strung on a ribbon bow. 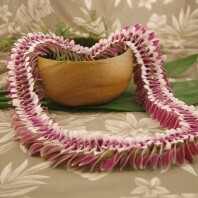 A kukui nut lei require no special care, as the meat of the nut has been cleaned out and all that remains is the hard shell. 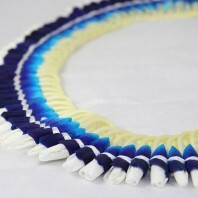 These kukui nut leis are about 34-36 inches long. They tie in the back for adjusting. Available in brown or black. 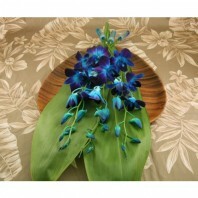 We do not provide painted kukui leis, only natural polished kukui. 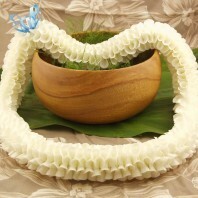 Kukui nut leis are a lovely alternative to flower leis. They can be kept for a lifetime as a remembrance. They require no special care and can be brought back to the mainland without agriculture inspection. 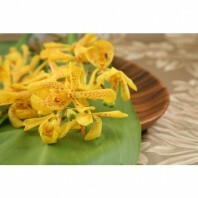 They are popular among tour guides and hospitality professionals in Hawaii due to their durability and beauty. They are very light to wear. Kukui nut trees are the state tree of Hawaii. There are even a few right in Waikiki. They get quite tall and have green leaves with a sort of silvery covering. Kukui is also know as the candlenut tree. The oil was burned for tiki torches in ancient times. 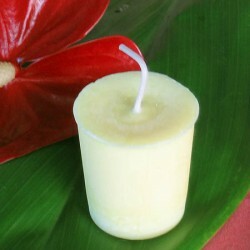 Wicks were made from coconut leaves. Like many plants in Hawaii the tree is not native. 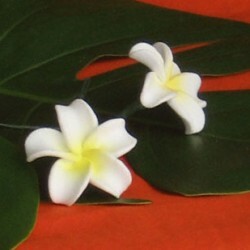 It was brought by early settlers and cultivated for it’s many uses. 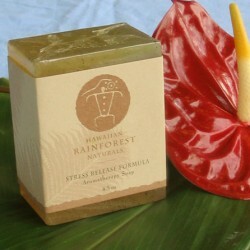 The oil from the kukui nut is also used in skin and hair care products for it’s nourishing properties. 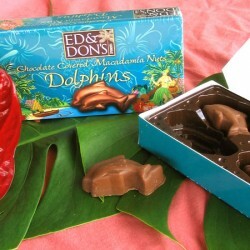 It was also used in making wooden surfboards, dyes and toys for keiki. Kukui is also associated with ceremonies honoring the Hawaiian god Lono during the Hawaiian ‘winter’ or makahiki. 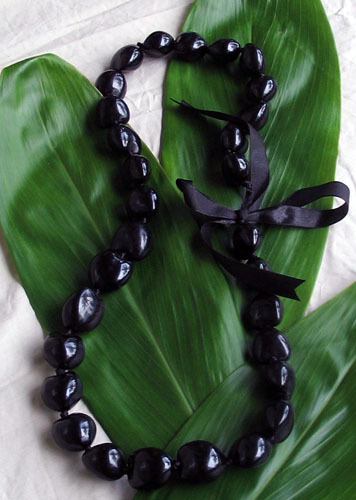 Kukui nut leis were a favorite of Hawaiian royalty. Usually ships next business day. 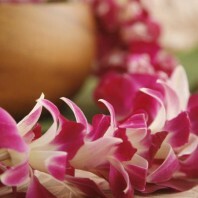 We can add this lei to any custom gift basket. 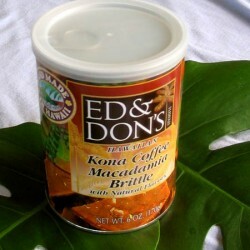 Kukui nut leis are made in the Philippines.